“To sell or not to sell my car?” A question posed in any vehicle owner’s mind at some point in time. There are various reasons you may fear the journey of going car-less, but for the Brisbane residents or visitors, it may not be such a terrible idea. The Brisbane transport system offers many options for getting around as well as out of town. The cheapest and easier way to become one of these wild-spirited public transportees is to go to one of the 600 outlets or 7-11s and purchase a Translink electronic ticket, called a “Go card”. Go cards can be topped up with any amount of cash to be used on trains, buses, and even ferries, and cost 30% less than buying single use tickets. The Translink website has a journey planner you can use to map out your travels or commutes and there’s even a Nightlink that runs from 12-5am on Fridays and Saturdays. An early morning commute down the Brisbane river by Citycat ferry. One of the most beautiful features in Brisbane is the the sparkling Brisbane River, longest in Southeast Queensland, that snakes it’s way through the city and into Moreton Bay. The river is used as a major vehicle for transportation to various suburbs and can be accessed through the Citycat which runs the length of the river, or the normal ferries which span the width from port to port. Using the ferry to get around can take a little bit longer than buses depending on your route, but the extra time during the ride can be spent out on the deck in the Queensland sun, watching various restaurants and parks cruise by on the surrounding banks. If you want to get further out and visit the islands of Moreton Bay you can hire a water taxi for a small group. One of the most popular destinations reach via water transportation is the bustling mecca that is Southbank. There is a contemporary art museum, a state library that shows films on Sundays, a weekend night market, and a herb and tea garden. There are often live music events playing at the amphitheatre as well as crowds of people on blankets enjoying the sun at the picnic island green area or bathing in the man-made lagoon in Streets beach. Southbank’s diversity of attractions spans from trendy cafes and shops on Little Stanley Street to a Nepalese traditional pagoda and even a wishing well. It’s almost better not to have a car in Brisbane so you can be a Southbank regular and never worry about parking. 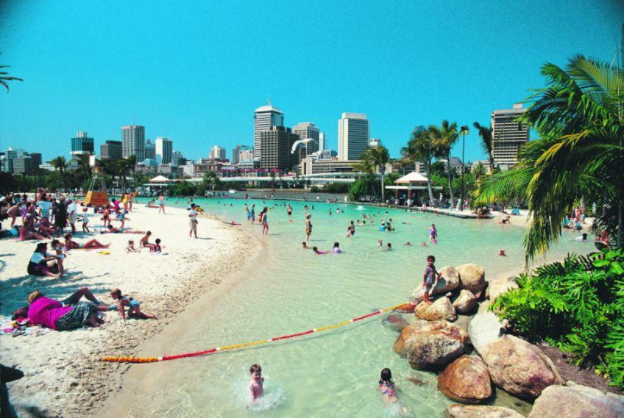 Southbank regulars enjoying the warm waters in man-made Streets Beach. If you prefer to enjoy the waters further out of town, the train lines will take you far enough out to visit both the Gold Coast and the Sunshine coast, with a short bus transfer at the end of the line. If you take the train from Roma Street Station in the CBD to Nambour, you can get the 631 bus for a 20 minute ride to the Eumundi Aquatic Centre. The whole trip takes about two and a half hours and can be done entirely via your Go card. From there you’re ready to explore the quaint and quirky town of Eumundi, just inland from the white-sand coastline. 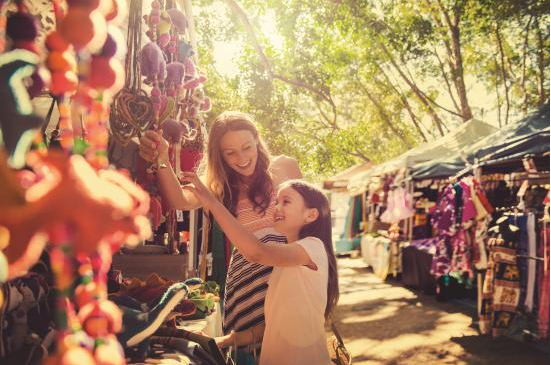 If you go on Wednesdays and Saturdays then you can wander around the famous Eumundi Markets which seems to have hundreds of stalls with local artisanal products and crafts, live music and a whole section devoted to food stalls. Visitors checking out local crafts at the Eumundi market. After you stock up on snacks and funky clothing, you can hop back on the 631 from where you got off and take it all the way to Noosa heads for a swim or surf in the ocean, or to walk along trails in the National Park. To get back to Brisbane, just hope take the reverse trip. Once you’re back in the city you can take various local buses to almost every suburb from the CBD. If you hop on route 471 it will take you up to the Mount Coot-tha lookout, which is recommended in the previous post on scenic drives. 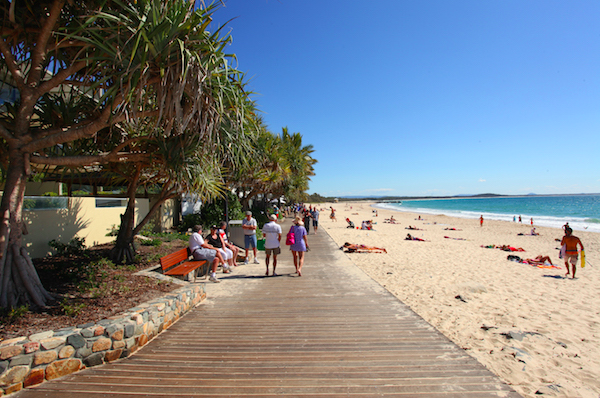 A stroll along the boardwalk at Noosa Heads. If you’ve just sold your car in Brisbane and you aren’t convinced yet about getting your own transportation pass, then you can see how you go on the various free options around the city first. 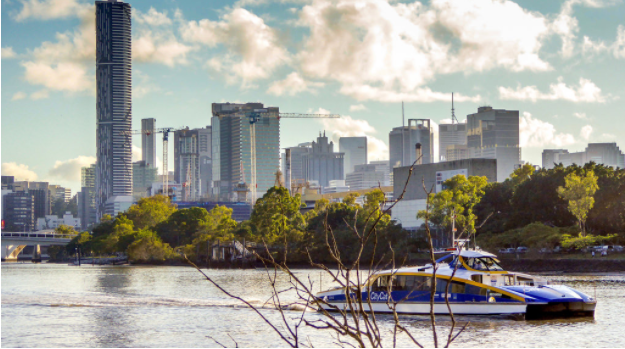 Both the City Loop and the Spring Hill Loop buses will take you to several destinations in and out of the CBD, and the city hopper is a ferry service running on the half hour, not bad! If you’re still not into the whole public transportation thing and you’re already planning your next vehicle purchase for your Brisbane journeys, then check out the scenic drives at https://www.areyouselling.com.au/blog/sell-my-car-drive-brisbane/ and plan your next adventure.